Learn more about Kibera and help build a better future for families living in Kibera at the same time! Read about how CFK was founded, learn about our Sports Association and its mission to promote peace through soccer, or see what Kibera is like through a young girl’s eyes. PLEASE NOTE: At this time, online purchasing is not available. We apologize for this inconvenience and are working to have this option available soon. 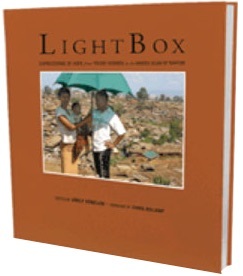 To purchase one of our books or film, please email admin@carolinaforkibera.org or call +1 (919) 962-6860 for assistance. Earnest. Riveting. Unforgettable. 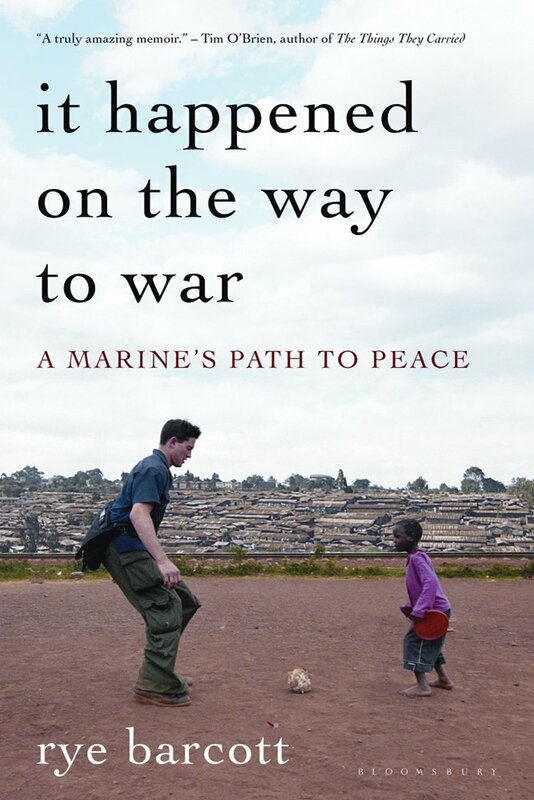 Co-founder Rye Barcott’s inspiring memoir explores the contrasts of community development in Africa and counter-insurgency in the Marines as they clashed and converged in his head and heart. He recounts his experiences building and learning from leaders in unlikely places – from the Kibera slum of Nairobi, Kenya, to the bomb-strewn streets of Fallujah and beyond. Comprised entirely of photographs and essays by CFK’s Binti Pamoja | Daughters United program members, LightBox offers a candid look at the lives of young women in poverty. It demonstrates the value of empowering a young woman and is a celebration of the victories these young women achieve every day. Their photography and essays display a powerful message – one of struggle, perseverance, and hope. 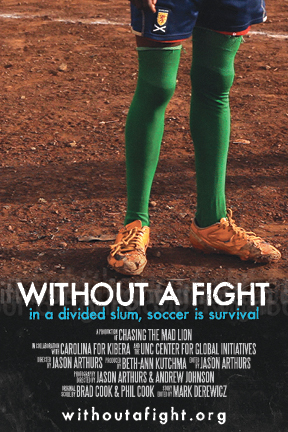 Without a Fight is a feature-length documentary film that explores how soccer can facilitate social change in Kibera, one of Africa’s largest informal settlements. The film provides a glimpse—often a very positive one—into an Africa few have seen. It attempts to break stereotypes associated with people who live in extreme poverty while depicting sports as a tool that could be used to prevent violence among at-risk youth. Want to host a community screening or add to your institution's library? Visit withoutafight.org for more information and guidelines for use.